The mental health workforce in the United States is a leader in mental health and substance abuse treatment innovation. Currently, the vast majority of treatment focus is on the relatively small portion of the population that is substance dependent, but those with an “at-risk” level of use may go untreated. Only 5 percent of the U.S. population meets the requirement for alcohol and drug dependence, while more than 20 percent of the population fits into the “risky” or “harmful” drinking or substance use category. Screening, brief intervention and referral to treatment (SBIRT) is an emerging clinical practice in which health care or mental health care providers can intervene with patients/clients who exhibit problem alcohol or drug use that does not fit into dependence categories. To provide these services and interventions, individuals and organizations utilizing SBIRT attempt to cast a wide net around 100 percent of their target population using a universal screening process that is appropriate for everyone. SBIRT does not replace treatment; instead it uses clinically tested questions to determine individuals’ level of substance use and then matches them with the appropriate amount of care. For example, individuals who use alcohol at a risky, but not dependent, level might undergo a “brief intervention,” a process involving a five- to 15-minute conversation that guides a person toward the reduction of risky or harmful alcohol use. Individuals who use alcohol at a dependent level might be referred to inpatient treatment instead. The primary focus of this article is to provide exposure to the process of SBIRT and to inform clinicians on their role in this preventive process. Historically, high-risk substance use has been associated exclusively with dependence and addiction. In other words, it was believed that only individuals who were dependent on substances experienced harm as a result of their use. Terms such as “alcohol and drug problems” are associated with extreme consequences of substance use, including addiction. Stereotypical images, such as the homeless man drinking out of a bottle contained in a paper bag, have also been attached to long-term substance abuse. Not all risks associated with substance use are extreme, however. Furthermore, problem substance use cannot be identified simply by looking at a person, and it isn’t limited to individuals with long-standing addictions. Harm from substance use can occur in a much wider spectrum. Contrary to the historical unitary view of addiction, the range view on substance use suggests that all substance use has a level of risk and that harm or consequences can occur even before a person is dependent. For instance, hangovers, arguments with friends or family, or even overspending are some of the small consequences that may result from problematic substance use. These consequences are often related to the frequency and amount of use. The National Institute on Alcohol Abuse and Alcoholism (NIAAA) has formally defined level of risk based on the number of drinks consumed on each occasion and week. Men who consume more than four drinks and women who have more than three drinks in a single occasion are drinking at an at-risk level. Binge drinking is only one of many behaviors that can capture a risky or harmful level of drinking or drug use. Although not every person meets the criterion for dependence, he or she may still benefit from exploring the meaning of at-risk use. SBIRT is a process that can be used to increase client awareness and normalize the process of examining how alcohol and substances are incorporated into each person’s life. SBIRT often involves a conversation intended to review the level of risk associated with an individual’s frequency and amount of use. The process involves a short screening that suggests the level of treatment or intervention the clinician should provide. In some ways, the screening component of SBIRT serves as a filter that quickly points out the client’s needs (based on level of risk) and gives counselors an access point to start discussing change from the beginning of the relationship. SBIRT features three distinct tiers. As with most mental health services, screening is the first tier because this aspect of the process is universal (meaning for everyone). Mental health professionals have been highly trained in client/patient evaluation for the purpose of diagnosis. 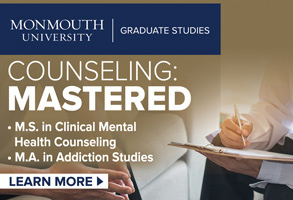 Every graduate program accredited by the Council for Accreditation of Counseling and Related Educational Programs includes several classes that help build a clinician’s skills for using screening tools to assist in determining a client’s diagnosis. 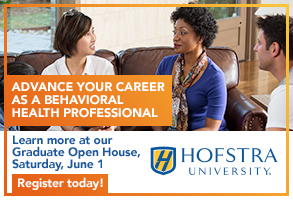 On-the-job training adds to clinical skills in using biopsychosocial assessment tools during the intake process. All of these assessment experiences are geared toward diagnosis. SBIRT provides opportunities for clinicians to extend this traditional practice of assessment by using short, nondiagnostic screening tools as an introduction to a specific conversation. Whereas the outcome of the screening in traditional assessment is a diagnosis, the goal of screening in SBIRT is to identify each individual’s level of risk and explore how this knowledge may inform future change. A wide variety of tools are available to assess risk levels for alcohol and substance use. The Substance Abuse and Mental Health Services Administration (SAMHSA) currently recommends two tools that are commonly used to screen for risky and harmful alcohol and drug use: the Alcohol Use Disorders Identification Test (AUDIT) and the Drug Abuse Screening Test-10 (DAST-10). The AUDIT, a 10-question screening tool created by the World Health Organization, is both brief and highly sensitive to the level of risk stemming from alcohol use. 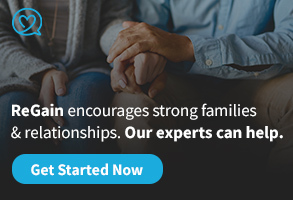 Topics covered in this tool include frequency of drinking, amount of use, level of difficulty stopping, concerns about the individual’s use as mentioned by friends or family members, and other consequences of drinking. This tool offers an opportunity to look back at specific behaviors that cause concern when an individual’s score indicates a harmful level of drinking. The DAST-10 is another flexible screening tool that is easy to administer. It can be used to screen for any substance use other than alcohol, including nonmedical prescription drug use. The intent of these tools is not to reach a diagnosis but rather to start a conversation. The screening tools inform how the clinician will proceed with the client in discussing potential future behavior change. When a client’s screening results indicate low-risk behavior, the outcome is a “negative” screening. This means the client is not in need of ongoing services to address the level of risk. The clinician would affirm these clients and encourage them to continue with their positive behaviors or provide them with additional information to support their ongoing success. A screening that results in a “positive” score is indicative of risky/harmful or dependent levels of use. Each range of positive scores directs the next step in SBIRT. A score in the moderate range on the AUDIT indicates that a brief intervention is appropriate, whereas a higher score may indicate the need for referral to treatment. Low DAST-10 scores indicate the need for a brief intervention, whereas moderate and high scores indicate the need for referral to treatment. In general, positive scores on either the AUDIT or the DAST-10 lead to a short conversation between the clinician and the client about the results. The screening results determine the intensity of the conversation. Brief intervention is the second tier of SBIRT. Typically, it is used only with individuals who have a positive screening. Each brief intervention is a five- to 15-minute conversation, ideally held at the time of the screening, that guides the person toward the reduction of risky or harmful alcohol or drug use. Brief interventions are used to address only the targeted behavior change. In other words, the intervention is geared only toward lowering the risks related to alcohol or drug use. Rather than being a full treatment plan on its own, a brief intervention offers an opportunity to begin a conversation about change that then could be added to the treatment plan or monitored periodically without being a formal part of a treatment plan. Motivational interviewing is the key component of each brief intervention. Motivational interviewing is a person-centered style of communication that addresses the common issue of ambivalence about change. The following general guidelines for motivational interviewing will increase success with brief interventions. Use reflective listening skills. Use open-ended questions, affirmations, reflections and summaries to support your client’s discussion with you. Reflective listening is a helpful tool to support client autonomy and reduce ambivalence. Resist the “righting reflex.” We must fight our reflex as clinicians to support only the “right” change. Supporting clients as they work toward change is important. Understand and explore the client’s motivations. Through active listening and guidance, you will hear what values and desires your client has for his or her existing behavior and future changes. Listen with acceptance. Acceptance includes empathy, autonomy, affirmation and absolute worth. Our clients feel understood when we can demonstrate that we understand their perspective. Empower the client. Using a judgment-free perspective that partners with your client will support change. Partnership is key. 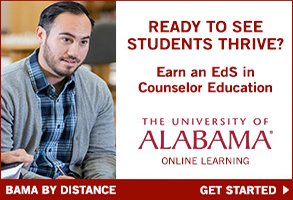 Counselors will find this step relatively simple. Most clinicians have been trained to build rapport with their clients. Ask permission to raise the subject of drugs and alcohol. Giving your clients personal autonomy to respond to the questions is powerful. This often leads to increased trust and honesty. Remain nonjudgmental and accepting. Your clients may share a range of topics with you, and providing the right level of empathy can help them feel comfortable. Clients’ values and considerations about their personal alcohol and substance use can be elicited by looking at the pros and cons of use. Ask clients how they feel about their current level of use and how drugs or alcohol fit into their life. a) Elicit things that they like about their use. b) Invite clients to talk about things that they don’t enjoy or like less about their level of use. c) Summarize the pro and cons in the client’s own words. Be sure to capture everything. Next, give feedback that is specific to your client’s thoughts and values, and add some information in the form of feedback. Many clients have never considered the ranges of use, other than addiction, that could result in harm. Though often overlooked by clients, small problems such as headaches, sleep disturbances or being late to work may be a result of substance use. Your conversation about the range view of alcohol use may be the first time that a client has heard about low-, moderate- and high-risk drinking. Request permission to provide feedback. b) Link the level of risk, and present concerns that may be related. c) Ask your client for his or her thoughts about this information. d) Use photos or images to make this comparison easier. In the third step of the brief intervention process, clinicians support the building of clients’ readiness and motivation for change. It is likely that clinicians have heard many reasons that change would be possible for clients (change talk) and other reasons that would make change difficult for clients (sustain talk). Focusing on a client’s change talk while accentuating the positive may soften the sustain talk and increase the frequency with which a client expresses thoughts and ideas that are in line with some movement toward positive change. 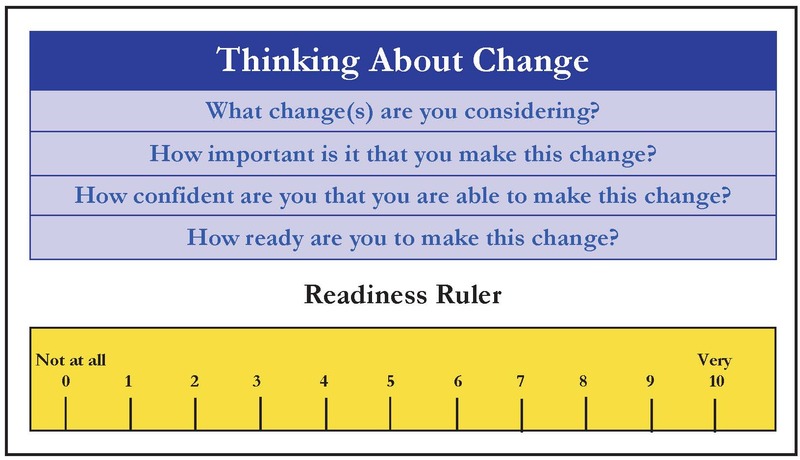 Use a readiness ruler (see image below) to discuss readiness, importance and confidence. Elicit additional reasons for change. Identify client strengths and supports. Ask why a change (even a small change) would be important to the client. Giving an affirmation of your client’s intention and effort can be an important tool to build confidence at this stage of the conversation. When an individual starts to shift his or her thoughts and statements toward positive change, a clinician can shift focus and begin to discuss what steps to take toward behavior change. Goal setting is the final part of the brief intervention. Setting small, realistic and measurable goals is important in order for our clients to find success in any change process. Identify high-risk situations for drinking or drug use, as well as possible coping strategies. Write the steps down (ask clients to do the writing). Summarize all of the ideas and the specific steps. Arrange for follow-up as needed. Some individuals who receive brief interventions may also be examining plans for accessing additional services. These individuals may not be able to address their substance use changes without the support of specialized treatment. 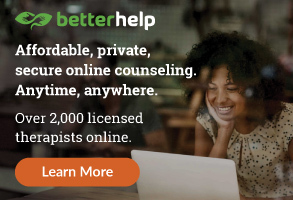 Referral to treatment, the third tier of SBIRT, is designed specifically for individuals who would benefit from more specialized services for alcohol and drug treatment. Individuals who score in the high-risk categories typically need additional services beyond brief interventions. Although brief interventions are shown to be effective for minimizing risk, current evidence indicates that individuals whose screening scores are at the higher end of the continuum for either alcohol or substance use may need additional services to facilitate behavior change. These individuals often would meet the diagnostic criteria for dependence and can be referred to appropriate services as a result of receiving this screening process. It is recommended that the full SBIRT process, from screening through clinical intervention and referral to treatment, take place annually with clients. Whether individuals have a low level of risk or report higher levels of use, examining this information on a periodic basis gives clients an opportunity to consistently understand how substance use plays a role in their lives. Annual screening may seem infrequent to those of us in the counseling profession, but it is important to remember that SBIRT is designed to be implemented and utilized in locations that are not explicitly designed to address substance use (for example, primary care offices). In fact, this process is highly adaptable and can be formatted to fit a variety of settings for mental health professionals. SBIRT has been used in health care, mental health, substance abuse treatment, judicial, employment, education and welfare settings, among others. Because the premise of SBIRT is to provide universal screening to identify and assist with risky, harmful or heavy/dependent alcohol or substance use, it is sensible to use SBIRT in “opportunistic” settings where individuals are already present. At the same time, the personnel who can be trained to effectively deliver SBIRT or assist with its implementation vary widely and include physicians, nurses, social workers, counselors, police/probation officers, clergy and teachers. Mental health and substance abuse treatment professionals are most likely to be exposed to or be a part of the SBIRT process in two primary instances. The first is when SBIRT services are implemented in a nearby referral source (for example, a health care organization or other community service organization). In this circumstance, SBIRT services within a community may increase referrals to community mental health and addiction treatment services. The second instance involves the implementation of SBIRT within mental health and substance abuse treatment itself. SBIRT could take place in a variety of existing intake or treatment review processes. Intake and assessment are natural places for SBIRT to be added. If a client screens positive for risky alcohol or drug use, it would give the clinician an opportunity to add objectives and goals to the treatment plan to lower the level of risk. Treatment plan reviews or the completion of annual paperwork offer other opportunities to check in with clients about substance use. SBIRT works to lower risks associated with alcohol and substance use. Adding SBIRT to existing programs could strengthen the reach of clinical and preventive services for all clients. This process can be integrated seamlessly into any existing assessment and treatment process. But, as with any change asked of our clients, SBIRT means changing your organization’s procedures too. Discuss this opportunity with your clinical and administrative supervisor to determine if SBIRT is a good fit for your organization. Training and support materials for organizations and clinicians ready to implement SBIRT are available through SAMHSA. For more information about how to get started with SBIRT, visit indianasbirt.org. Mallori DeSalle is a research associate in the School of Public Health at Indiana University-Bloomington, a licensed clinical mental health counselor, a member of the Motivational Interviewing Network of Trainers and the outreach coordinator for Indiana SBIRT. Contact her at mdesalle@indiana.edu. 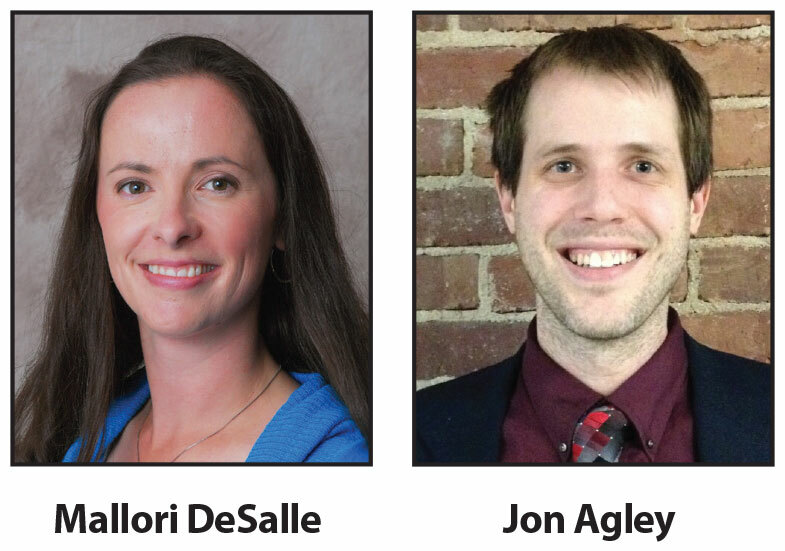 Jon Agley is an assistant scientist in the School of Public Health at Indiana University-Bloomington and the project evaluator for Indiana SBIRT.